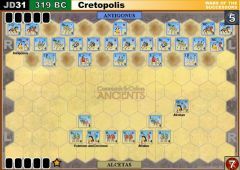 The Death of Alexander the Great in 323 BC inspired the Greeks to rebel against Macedonian rule. 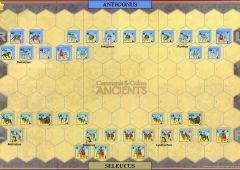 An Athenian army under Leosthenes was joined by Aetolians Thessalians and mercenaries. 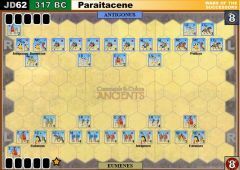 They headed north and defeated a Macedonian army of 13,000 infantry and 600 cavalry, led by Antipater the Regent of Macedonia, at the battle of Thermopylae. 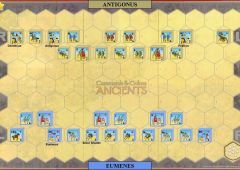 Antipater, heavily outnumbered, sought refuge in the city of Lamia where he was put under siege by the Greeks. 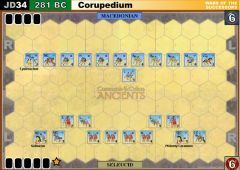 He sent for help from the Macedonian Generals in Asia and the first to respond was Leonnatus, who crossed into Europe with 20,000 infantry and 1,500 cavalry but few were Macedonians. 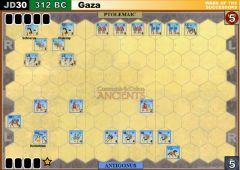 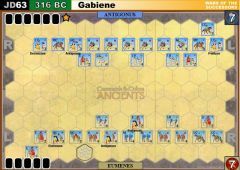 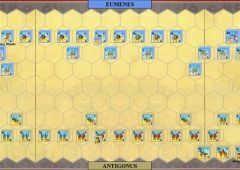 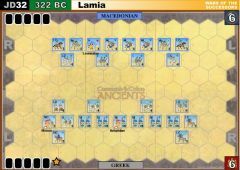 The Greeks abandoned their siege of Lamia, where Leosthenes had been killed by an enemy missile, and marched to meet leonnatus with 22,000 infantry and 3,500 cavalry led by Antiphilus with Menon in charge of the Thessalian cavalry. 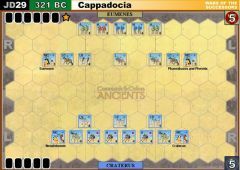 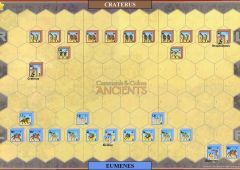 The two forces met on open ground north of Lamia with the Greeks again triumphant. 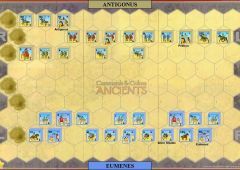 Leonnatus was killed in the battle. 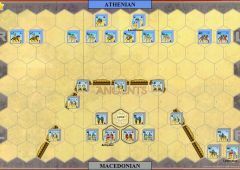 The Macedonians retreated and were joined first by Antipater and his army and then by Craterus, another Macedonian General from Asia, with 12,500 men, many of them Macedonian Veterans. 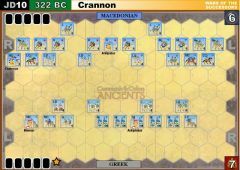 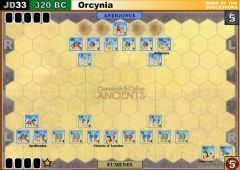 The Combined Macedonian army would clash with the Greeks in the final and decisive battle of the lamian war at Crannon. 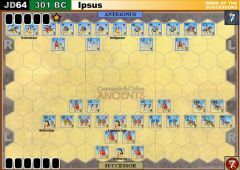 The Greek Medium Cavalry (Thessalians) may ignore one crossed sword and one retreat banner.